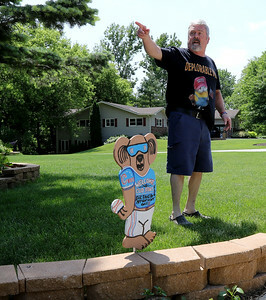 Steve Page shows the area on his front lawn with damaged landscaping on Thursday, June 7, 2018 in Crystal Lake. Page holds Andrew Gasser and the highway department accountable for approximately $300 worth of damage caused by a snow plow striking ornamental brick trim over the winter. 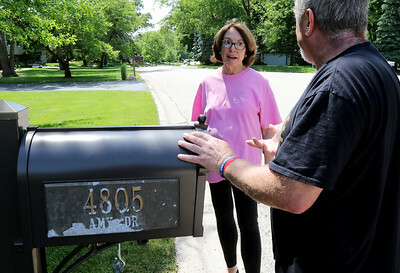 Steve Page (right) talks with neighbor Rhonda Quick near Quick's mailbox on Thursday, June 7, 2018 in Crystal Lake. Page holds Andrew Gasser and the highway department accountable for approximately $300 worth of damage caused by a snow plow striking ornamental brick trim over the winter. Quick's mailbox was also damaged by a snowplow, and is upset because the replaced mailbox is now shorter and tilted. 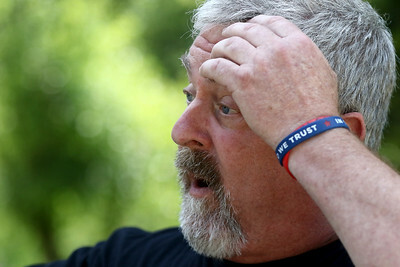 Steve Page holds a broken brick he saved on Thursday, June 7, 2018 in Crystal Lake. Page holds Andrew Gasser and the highway department accountable for approximately $300 worth of damage caused by a snow plow striking ornamental brick trim over the winter. 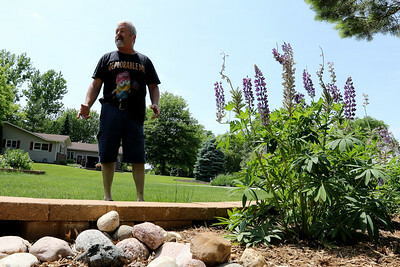 Steve Page stands behind the damaged landscaping on Thursday, June 7, 2018 in Crystal Lake as he points down the road toward mailboxes which Page also holds Andrew Gasser and the highway department accountable for damaging over the winter. 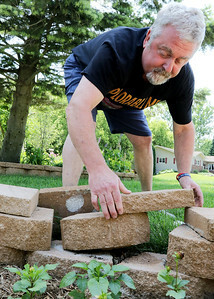 Steve Page shows a manicured area on his front lawn with undamaged landscaping on Thursday, June 7, 2018 in Crystal Lake. 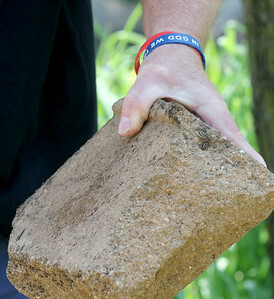 Page holds Andrew Gasser and the highway department accountable for approximately $300 worth of damage caused by a snow plow striking ornamental brick trim closer to the road over the winter.